AWARDS ! Me+U wins again. Life is good. 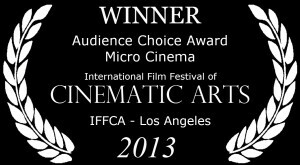 THANK YOU to the amazing crowd at the IFFCA – Los Angeles. We got home with the Audience Choice Award and a big SMILE on our faces.